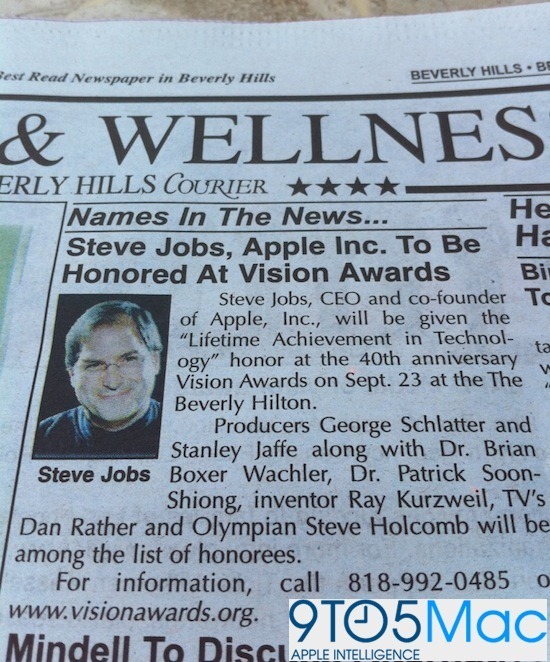 According to the Beverly Hills Newspaper (The Courier), Steve Jobs (CEO and Co-Founder of Apple) will be honored with the title of "Lifetime Achievement in Technology" in the Vision Awards at Beverly Hilton on 23rd of this month. This will be the 40th anniversary of this awards ceremony. However, this is definitely not the first title or award that Steve has taken away. Last year in November, he was also given the "CEO of the Decade" title, and was named as the “World’s Most Valuable CEO” by Barron’s. And yet again, earlier this year in March 2010, he managed to make space for his name in the annual list of the best CEOs in the world by Barron’s. Gyroblox 4: the Gyroscope App Which Steve Jobs Demonstrated on iPhone 4 at WWDC 10? You can follow me on twitter or join our facebook fanpage to keep yourself updated on all the latest from Microsoft, Google, Apple and the web.